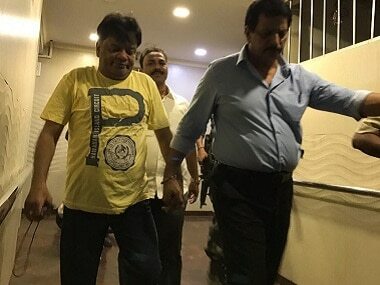 Thane: A Thane court has remanded fugitive don Dawood Ibrahim's brother Iqbal Kaskar in police custody in connection with an extortion case. Kaskar was already in judicial remand after the Thane police's anti-extortion cell arrested him in 2017 in connection with two cases. Thane Police Commissioner Param Bir Singh on Tuesday said that Kaskar was on Monday produced in a sessions court in connection with another extortion case. The court remanded him in police custody till 6 March, he said. The Thane city police had earlier slapped charges under the stringent anti-organised crime law MCOCA (Maharashtra Control of Organised Crime Act) against Kaskar and others in the various cases. The Thane police's crime branch had arrested Kaskar along with others on 18 September, 2017 for allegedly threatening a city-based builder in the name of Dawood Ibrahim and extorting money as well as four flats. A case was then filed under IPC sections 384 (punishment for extortion), 386 (extortion by putting a person in fear of death or grievous hurt) and 34 (acts done by several persons in furtherance of common intention) at the Kasarvadavali police station. On 18 September, Kaskar was held along with accomplices Mumtaz Shaikh and Israr Sayyed, for extorting four flats and Rs 30 lakh from a builder in Maharashtra. Later, the police had also booked him following another complaint of extortion lodged by a Thane-based jeweller. The third case in which he was remanded in police custody on Monday pertained to allegedly extorting Rs 3 crore from a prominent builder in north Mumbai. Following the builder's complaint, the police had registered the case against Kaskar and his gang members in October, 2017. Kaskar, who was deported from the United Arab Emirates in 2003, is said to be operating his brother's real estate business in Mumbai. He is presently lodged in the Thane District Central Jail.